The association of American Advertisers has attacked US media agencies for "numerous non-transparent business practices," including cash rebates and hefty mark-ups, in a long-awaited report. The Association of National Advertisers did not identify any agency groups or individuals "because of the confidential nature" of the report but suggested all the big agencies are implicated. Numerous non-transparent business practices, including cash rebates to media agencies, and these were found to exist "across the spectrum of agency media entities." Cash rebates from media companies were provided to agencies with payments based on the amount spent on media. 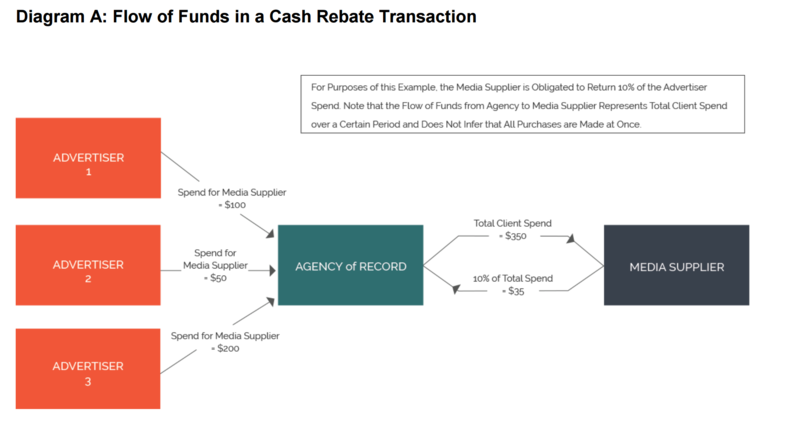 Rebates also took the form of free media inventory credits or "service agreements" in which media suppliers paid agencies for low-value research or consulting. Senior executives across the agency ecosystem were aware of, and mandated, some non-transparent business practices. Some advertisers told the ANA they did not receive rebates or were unaware of any rebates being returned. There was evidence of potentially problematic agency conduct concealed by principal transactions where the agency or its holding company acts as principal to purchase media on its own behalf and later resells it to a client after a mark-up. There were mark-ups of between 30% and 90% in some cases. The study said there were non-transparent business practices across media in digital, print, out-of-home and TV. 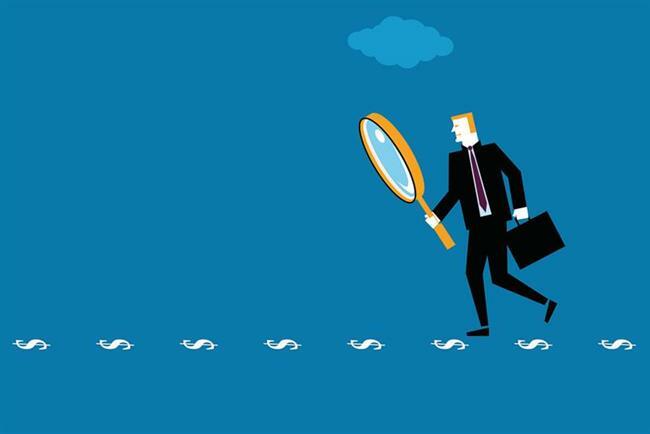 Bob Liodice, president and chief executive of the ANA, said: "Advertisers and their agencies are lacking ‘full disclosure’ as the cornerstone principle of their media management practices. Such disclosure is absolutely essential if they are to build trust as the foundation of their relationships with their long-term business partners." The ANA urged its members to "re-examine all existing media agency contracts and meticulously review all terms and conditions." It was not immediately clear if the report will prompt any legal or regulatory investigation by US authorities. The ANA said last October that it had commissioned K2 Intelligence, which was founded by forensic corporate investigators Jules and Jeremy Kroll, to investigate whether US agencies have been accepting rebates from media owners without informing clients and other transparency issues. Rebates are banned in America. Richard Plansky, executive managing director of K2 Intelligence, said: "From the beginning, this has been a study designed to shed light on certain non-transparent practices in the media-buying landscape — not an investigation or an audit." Plansky said the report found emails between agency executives and media companies in which rebates were specifically discussed in detail. Liodice added that "the complex digital supply chain" and "the proliferation of media outlets" provided agencies with "additional opportunities to increase their profit margins beyond agency fees." He said: "This has led to disconcerting conflicts of interest and a lack of transparency." ANA chairman Tony Pace said: "The K2 Intelligence report unearthed a ‘fundamental disconnect’ between advertisers and their media agencies." The ANA has worked with UK-listed Ebiquity and FirmDecisions to develop guidelines and recommendations for ANA members to consider based on K2 Intelligence’s findings. Publication of the report had been expected for weeks and there were claims that it might have been delayed because the agency groups feared the report would make sweeping but anonymised allegations about their business practices. All the big ad agency groups have denied wrongdoing. Maurice Lévy, chief executive of Publics Groupe, complained last week that the report makes "broad unsubstantiated and unverifiable assertions of unethical behavior against some or all advertising agencies," according to The Wall Street Journal. Lévy said that the claims have the "potential to cause great financial and reputational damage" to the ad business. Omnicom said prior to publication: "All our US media agency clients have full visibility into their media costs, and receive all value negotiated on their behalf in the form it is received. Compliance with each individual client contract has always been central to that trust at Omnicom."